Garden designer, Jason O’Donnell, was moved to create the garden for Macmillan after his father passed away from lung cancer last December, just eight months after receiving his diagnosis. The garden celebrates the work of Macmillan and is a reminder of how important gifts left in wills are to the charity, which received over £84 million in legacy donations last year. Each subsequent wall of Jason’s storybook decreases in volume by roughly a third. This figure was chosen to highlight the importance of legacy gifts to Macmillan Cancer Support, which receives almost a third of its funding through gifts left in wills. Also included in the garden are two ‘rhythm lines’, which mimic heart beats and symbolise the energy required to overcome the challenges linked to a cancer diagnosis. “I wanted the rhythm lines to represent life itself,” said Jason. “The two lines run parallel to each other, echoing the way in which Macmillan Cancer Support is on your side from the very moment of diagnosis.” Messages from previous Macmillan donors will be etched onto the surface of the rhythm lines to demonstrate how donations leave a legacy for people affected by cancer. The final area of the garden is a seated section where visitors can reflect upon their own life story. The circular nature of this area represents a clock – a reminder of how the number of people living with cancer in the UK is set to increase from the current 2.5 million to 4 million by 2030. 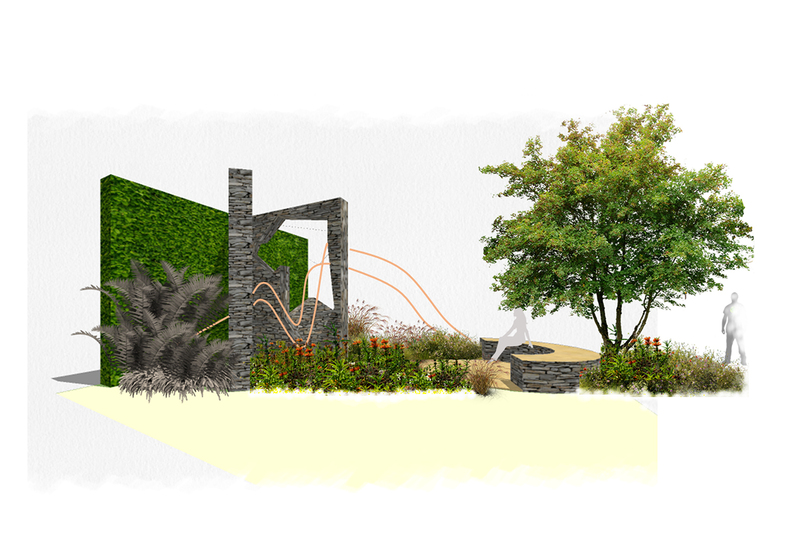 About the garden designer After graduating with Distinction from the award-winning London College of Garden Design in 2017, Jason O’Donnell established a studio for creating inspirational, sustainable landscapes and gardens using natural materials. Following a 25-year career in marketing Jason switched careers to follow a childhood desire to design memorable spaces.